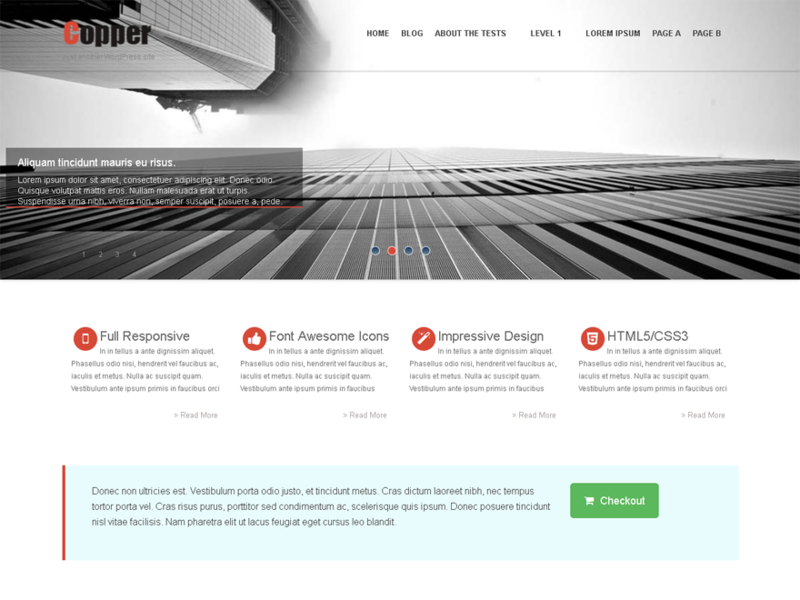 Copper is a responsive WordPress theme, You can be use for business, portfolio, blogging or any other type of site. The clean homepage layout is very flexible due to it allows to add widgets. There are five widgets area sections for home page, 4 widget areas in footer. Drag & drop to sort home page section order. 9 custom widgets, boxed & wide layout, prettyPhoto, translation ready and many more. Font Awesome Icons are avaible in the theme to add icons aywhere. This theme is built with the latest HTML5 and CSS3 website standard (from the Twitter Bootstrap), and fully responsive in different browsers and displays.